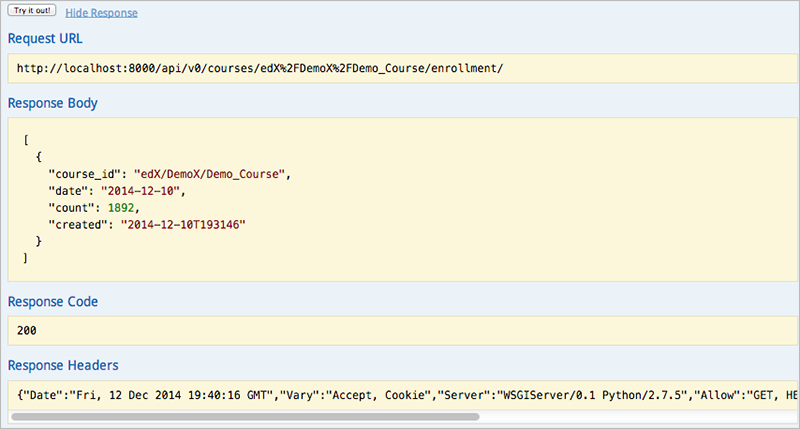 Also see edX Data Analytics API Authentication. You must get the Data Analytics API repository from GitHub. You may choose to get the repository in a virtual environment. Server requirements are then installed. After you load sample data and run the server, you can test the API. Enter a valid key and click Explore. See edX Data Analytics API Authentication for information on keys. 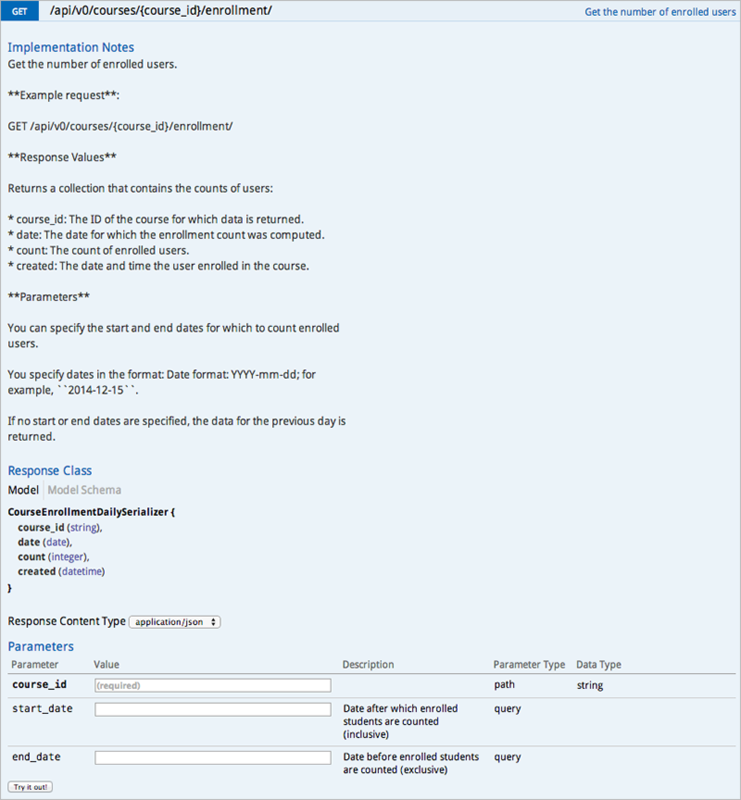 You see an interactive list of API endpoints, which you can use to get responses with the sample data. Expand the api section to see the available endpoints. 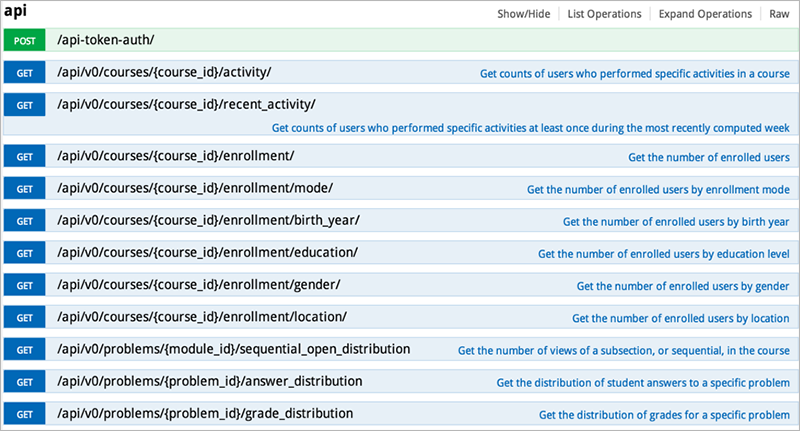 To get the sample enrollment data, use edX/DemoX/Demo_Course as the course_id.